Vintage Quilt Revival Sampler is Done! After a year and a half, my Vintage Quilt Revival quilt is...DONE! 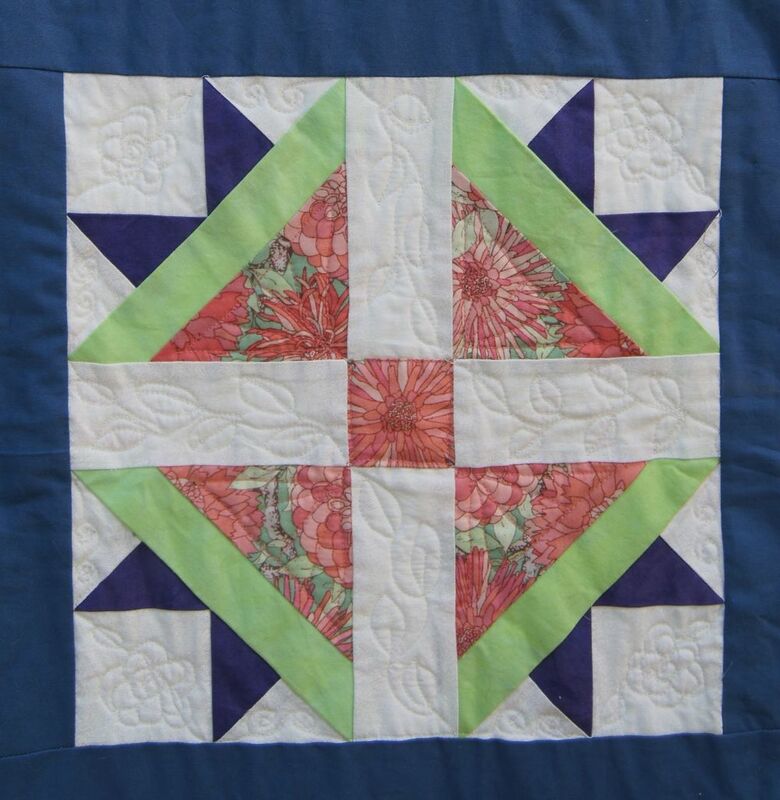 As I mentioned in my last post I made the blocks working along with other folks in the Vintage Quilt Revival Block Along. 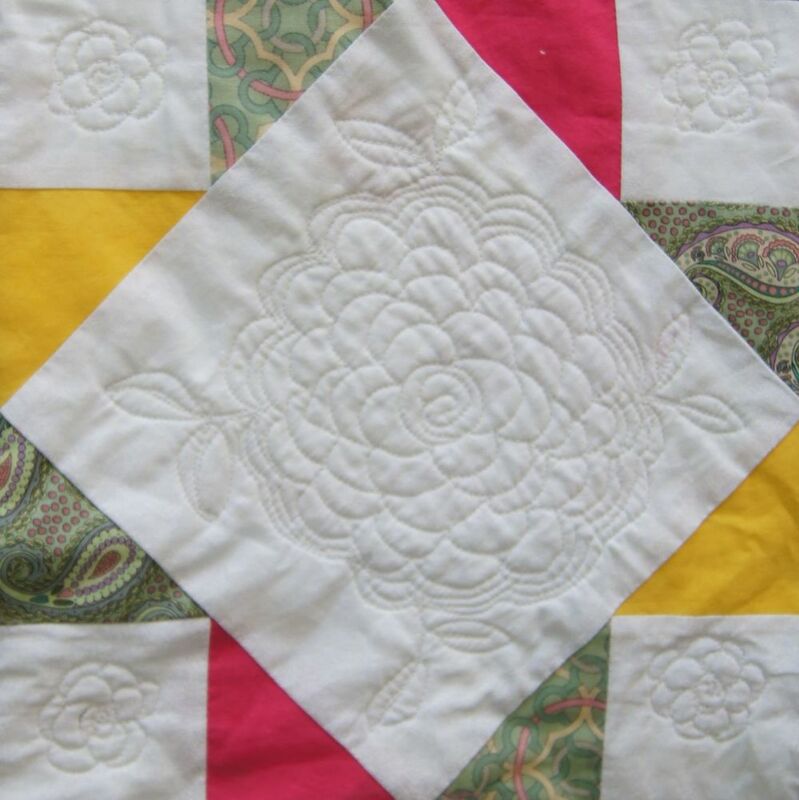 All the block patterns came from the great book, Vintage Quilt Revival. The beautiful floral and bird fabrics are from the Andover Fabrics line Modern Victorian. This fabric line was designed by Weeks Ringle and Bill Kerr. These amazing designs really make this quilt sparkle! I posted the details of several blocks in my last post. Here are 3 more. I never thought I'd make a sampler quilt. I like to figure out how to piece a block and then rapidly make up a quilt. This was an entirely different process! It helped to be sewing a block a week with a group of other people. 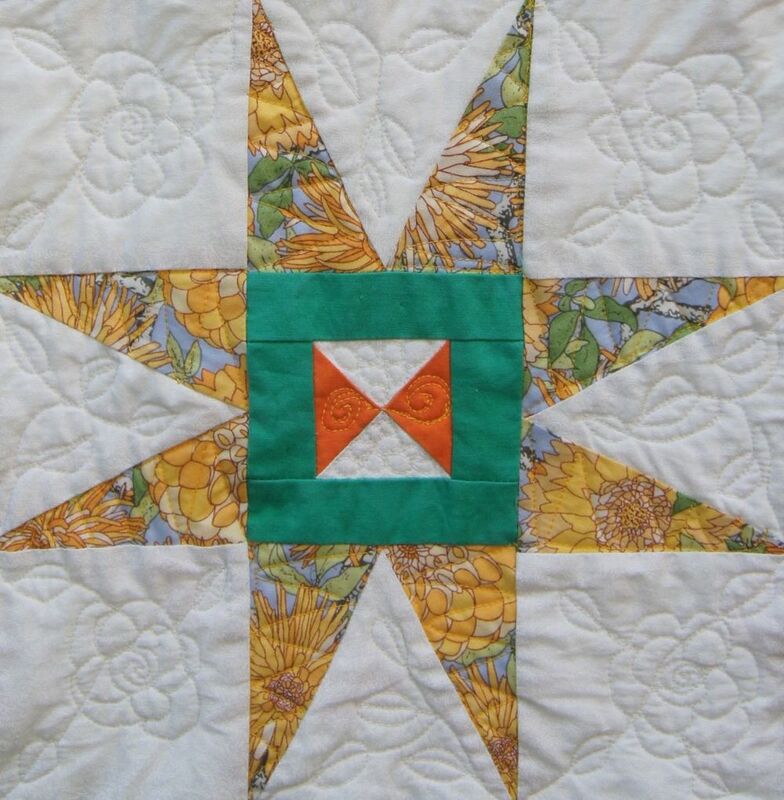 Here's a link to the Vintage Quilt Block Along Flickr Group. 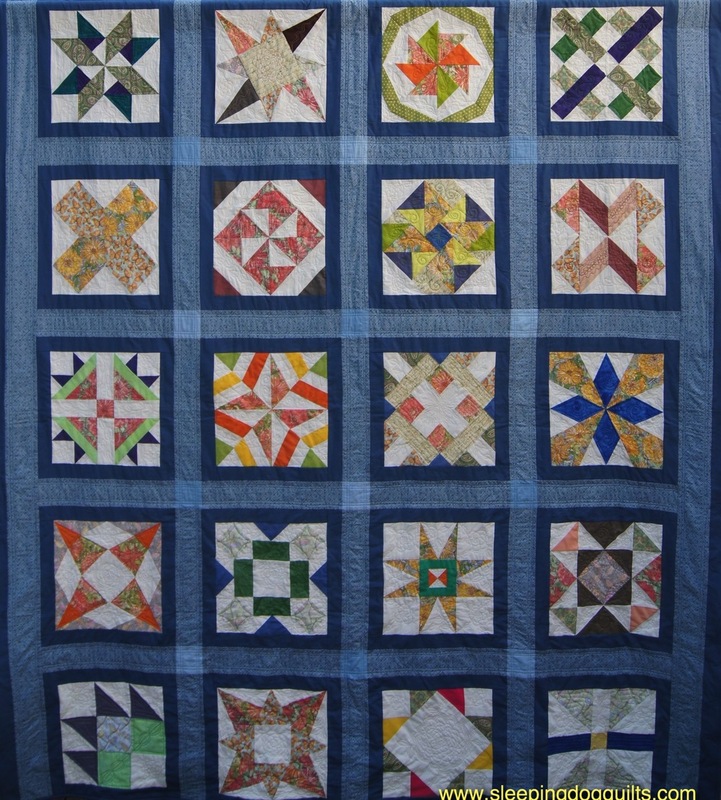 Check out the quilts and blocks made by others in this Block Along! Thanks Sukie for running a great Block Along! I love my quilt!